Canada Immigration Processing Times Tool: How long will it take for you? Find out the processing time for your application. Whether you are looking to visit, study, work in or immigrate to Canada, CanadaVisa's Canada Immigration Processing Times Tool provides the latest information on how long it may take your application to be processed. To find out if you are eligible to apply for Canadian permanent residence, fill out a free online assessment now. The processing time begins the day Immigration, Refugees and Citizenship Canada (IRCC) receives an application and ends the day a final decision is made. On July 31, 2018, IRCC changed the way it estimates processing times for some permanent residence applications. The Canada Immigration Processing Times Tool reflects these changes. This BETA version of the Canada Immigration Processing Times Tool is still undergoing improvements and updates. The times generated are unofficial. 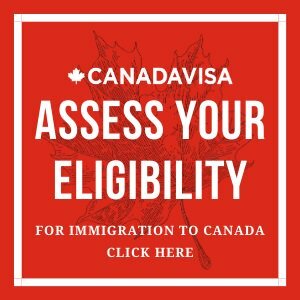 Canadavisa.com makes every effort to ensure the quality of the information available in this Canada Immigration Processing Times Tool (the Tool). However, before relying on information contained in the Tool, users should carefully evaluate its accuracy, completeness and relevance to their particular purpose. The information contained within the Tool is provided for information purposes only. Nothing contained in the Tool is to be used as professional advice and the Tool is not a substitute for the advice of a lawyer. Users should contact a qualified Canadian immigration lawyer and get appropriate professional advice relevant to their particular circumstances before any action or decision is taken on the basis of any of the material provided on the Tool. Canadavisa.com does not accept any liability for any loss or damage incurred by use of or reliance on the Tool or the information contained therein and cannot guarantee and assumes no legal liability or responsibility for the accuracy or completeness of the information. 1. Why did IRCC change processing time estimations? In July 2018, IRCC, decided to calculate processing time estimations by looking at the number of applications currently undergoing processing rather than processing time data from the past. 2. How long does it take to process an application under Express Entry? IRCC is committed to processing complete Express Entry applications in six months or less. Express Entry is a selection system for the following Economic immigration programs: the Federal Skilled Worker Class (FSWC), Canadian Experience Class (CEC), Federal Skilled Trades Class (FSTC) and some Provincial Nominee Programs (PNPs). Express Entry candidates can only apply for Canadian permanent residence upon receipt of an Invitation to Apply (ITA) from IRCC. 3. What is the processing time for a visitor visa (Temporary Resident Visa, or TRV) to Canada? If you are applying for a visitor visa within Canada, the processing time will depend on whether your application was submitted electronically (online) or by mail (paper-based). 4. What is the processing time for a Canadian study visa/permit application? The processing time duration for a Canadian Study Permit varies depending on an applicant’s country of residence. Study permit processing times can range from two weeks to 20 weeks depending on the number of applications received by IRCC and which office is processing the permit request. 5. How long does it take to process a Canadian work visa/permit application? The processing time duration for a temporary work permit depends on whether or not an application is made within Canada. Country-specific processing times apply for work permit applications. 6. Does a Post-Graduation Work Permit (PGWP) have the same processing times as a temporary work permit? A Post-Graduation Work Permit (PGWP) is an open work permit available to international students who have graduated from an eligible Designated Learning Institution (DLI) in Canada. 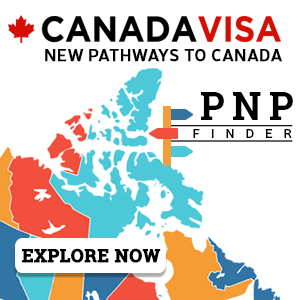 The PGWP gives eligible graduates the opportunity to work in Canada for up three years. The processing time for a PGWP depends on whether an online or paper-based application is made. 7. Do all Family Sponsorship applications have the same processing times? No. The processing time for Family Sponsorship applications depends on the family member (spouse or common-law partner, dependent child, parents or grandparents, adopted child or others) being sponsored and his or her country of residence. Canadian citizens or permanent residents who are at least 18 years old may be able to sponsor certain family members to immigrate to Canada. Find out if you are eligible for family sponsorship. 8. How long does it take to process a Canadian citizenship application? Based on the latest information from IRCC, the average processing time for a Citizenship grant is 12 months. To apply for Canadian Citizenship by naturalization, applicants must meet certain eligibility conditions, which include Permanent Resident status. Applicants for Canadian citizenship who are between the ages of 18 and 54 years must write and pass the Canadian citizenship test and demonstrate proficiency in at least one of Canada’s two official languages, English or French. 9. Why do some application processing times change and others remain the same? Processing times are determined by the number of applications received for each program. If the number of applications for a given program remains the same, then the processing times do not change. However, some have a varying number of applications throughout the year; in these cases, the processing times will change to reflect those changes. 10. How often are the processing times updated? Processing times that depend on historical data will show how long it took IRCC to process applications in the past and are updated on a weekly basis. Permanent resident programs that apply the new projected processing time system are updated on a monthly basis. 11. Why are processing times so long? Medical, criminal and other screening requirements may have an effect on the processing times for certain applications. In most cases, IRCC gives priority to temporary foreign workers since they have job offers and are needed to fill specific labour market gaps. Priority is also given to certain immigrant classes. For example, IRCC prioritizes applications from sponsored spouses as part of its efforts to reunite families. In addition, IRCC tends to process applications from people in need of protection sooner than others. 12. Will my application take longer because I am required to give biometrics (fingerprints and a photo)? It depends on the type of application you submit. For some applications, the processing time (estimate) does not include the time needed to submit biometrics; for others, the estimate does include this time. Visit our dedicated biometrics page for details. Currently, for temporary resident applicants (i.e. visitor visa, study or work permit), the time it takes to submit biometrics is not included in the application processing time. Therefore, the sooner an applicant submits his or her biometrics information, the sooner IRCC can begin processing the application. After receiving a Biometric Instruction Letter, an applicant has up to 30 days to submit biometrics information at a service point or Visa Application Centre. For most permanent resident applicants, the time it takes to submit biometrics is included in the application processing time. 13. What is the processing time for a passport? For urgent and express service applications submitted at a passport office, the application may be processed by the end of the next business day or may take up to nine business days. If you are currently living in the United States, you may apply by mail or in person by travelling to the nearest passport office or Service Canada point in Canada. The processing time for mailed application from the United States is 20 business days . All passport applications submitted outside Canada and the United States may take up to 20 business days. Applications made outside Canada may be submitted at the nearest Canadian government office abroad (i.e. embassy or consulate). Discover your options for Canadian immigration by completing a free online assessment now. Keep up to date on news and developments related to Canada Immigration Processing Times by subscribing to the Canada Immigration Newsletter published by CICNews.